This chapter gives an overview of urodynamic evaluation for stress urinary incontinence (SUI). Different methods for assessing urethral function including abdominal leak point pressures (ALPPs) and urethral pressure profile (UPP) measurements are discussed. This chapter also gives instruction on how to perform an urodynamic study for SUI. 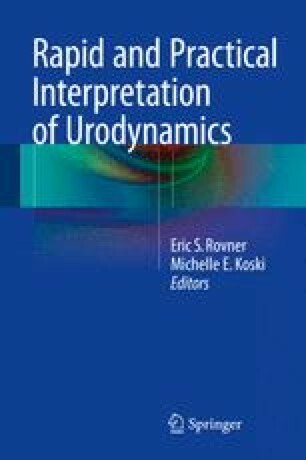 Several examples of urodynamic studies that depict SUI are included for demonstration and clarification of these concepts.